When it comes to connecting your smartphone to your car, the extent to which the two are integrated is, in general, fairly limited. Sure, you can make phone calls, and maybe listen to music, but that’s about it. In this day and age, when apps are so important to your use of a smartphone, that seems woefully insufficient to me. Pioneer Electronics is trying to fill that gap with a new gadget it calls the AppRadio. 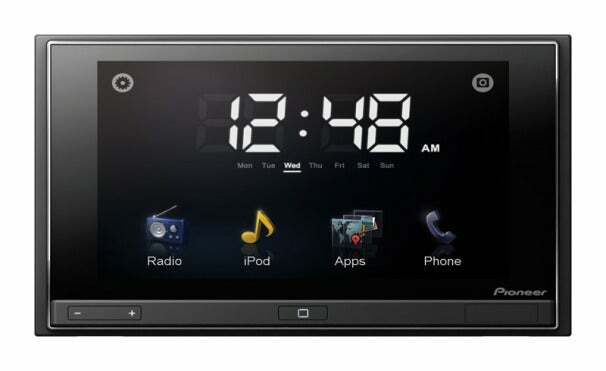 The AppRadio will connect to your iPhone or iPod Touch, and features a 6.1” capacitive touchscreen. It is designed to act as a regular radio, with an AM/FM tuner, as well as feature all of the usual smartphone bells and whistles, like hands-free calling and iPod playback. The stand-out new feature of the AppRadio is its interface with the iOS device that’s connected to it. According to Pioneer, the AppRadio should be able to work with any app that is specially programmed to use it, though only some will work when the car is in motion. Pioneer says that apps like INRIX and Pandora should be available for use with the AppRadio at launch. When parked, the 6.1” screen can act as an external display for compatible apps on the device that’s connected to it. If you’re interested in picking up an AppRadio, Pioneer says it should be available in late June. Blair Hanley Frank still wants a flying car.